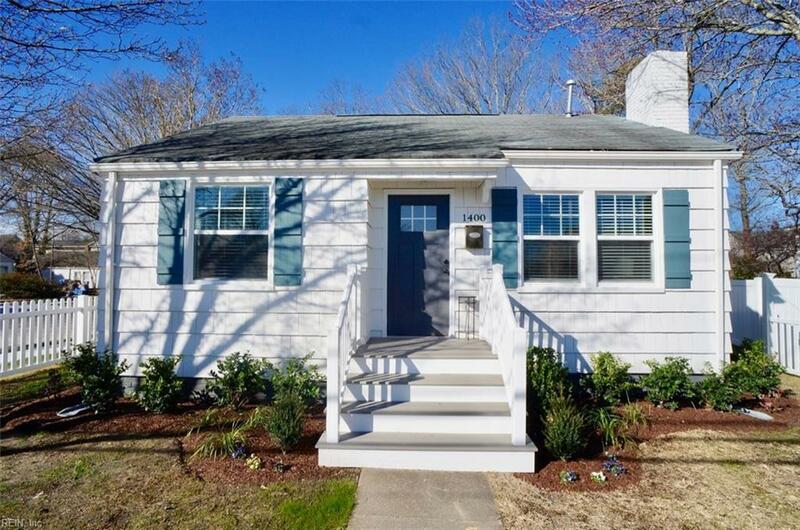 1400 Mediterranean Ave, Virginia Beach, VA 23451 (#10244347) :: Abbitt Realty Co. 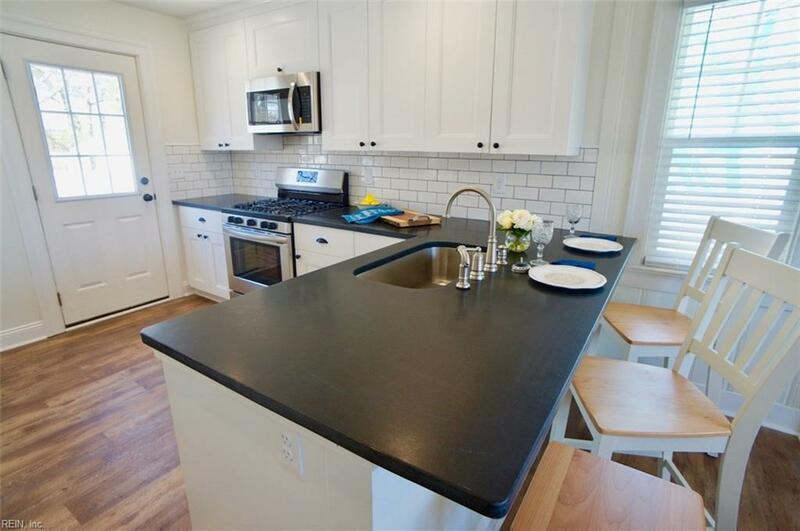 Imagine walking into a charming 1940s beach cottage with all the modern conveniences and amenities of new! 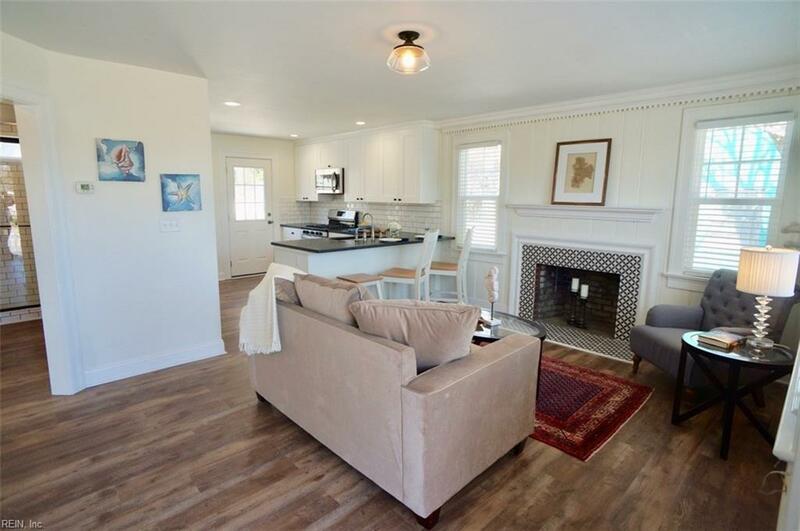 The picket fenced front yard welcomes you to the covered front porch to enter into open living area with cozy wood burning fireplace. 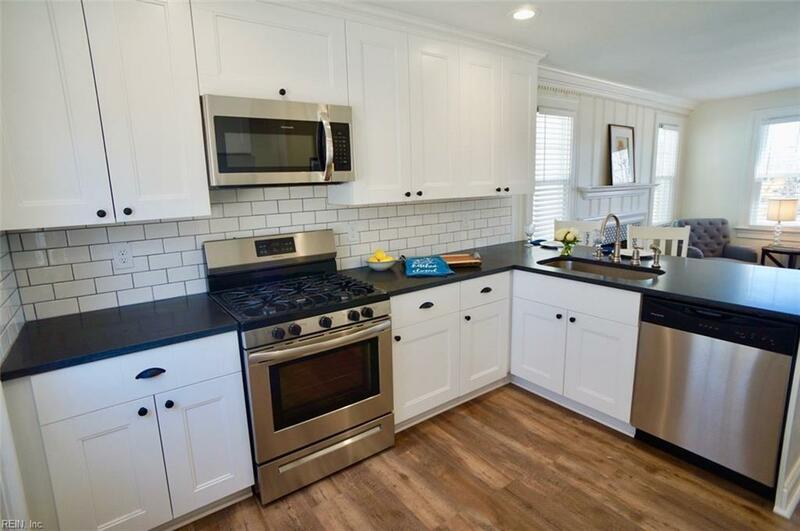 You'll enjoy cooking in your fully equipped kitchen with stainless steel appliances - gas stove, built-in microwave, dishwasher & side by side refrigerator, plus large pantry, soft close cabinet doors and drawers, quartz countertops and eating bar open to living area. Beautiful new bath has subway tiled oversized shower & laundry area just outside, convenient to bedrooms and bath. This easy living home has lux vinyl plank floors & new windows with cordless blinds. And when you are not at the beach or boardwalk - which is only a short walk away - or spending time 2 blocks away at the many shops or restaurants in the ViBe, you can enjoy outdoor living on the large deck in your privacy fenced backyard. See it now so you will be ready for summer living!